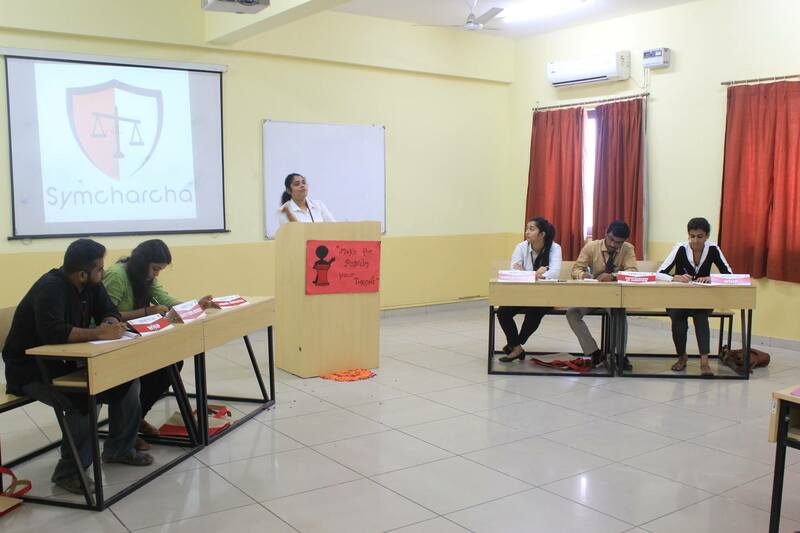 Symचर्चा is a platform for students to network and interact among the peer group as well as discuss topics of national and international importance. 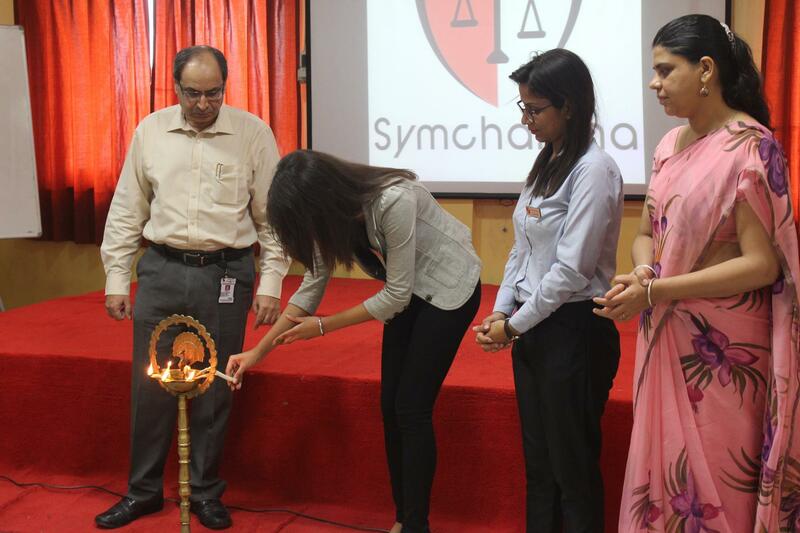 At Symbiosis Centre for Management Studies, Noida , inter college events are widely attended by students of the best colleges in India. 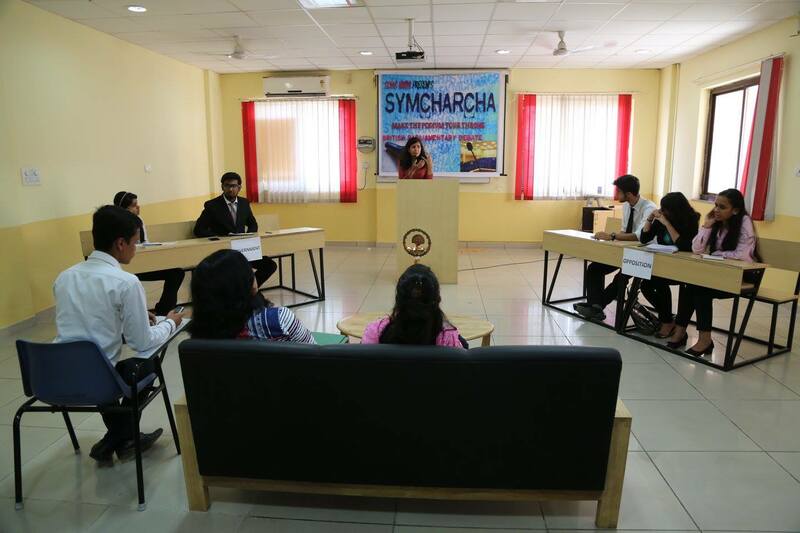 We assure you that with our warm hospitality and conducive environment, the participants will have a funfilled and enriching experience as they visit our campus and participate in the Intercollegiate Debate Competition. The format of the debate will be in adherence to Parliamentary Debate Format. Each team must comprise of three members only. Cross colleges teams are allowed. 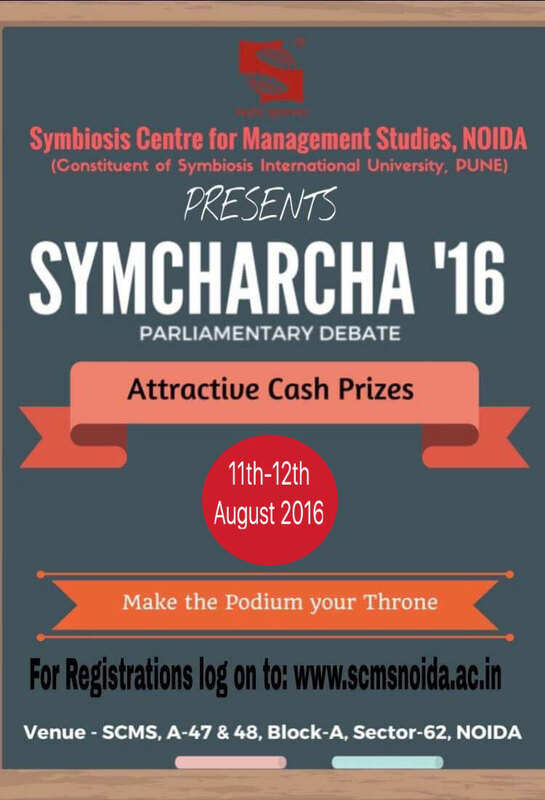 There is no registration fee for participating in Symचर्चा' 16. The topics of the debate will be intimated to the participants on the spot. Violation of such norms might lead to disqualification. NOTE: Morning refreshments and lunch for the participants shall be provided by the college.